Join SERCAP at the Hotel Roanoke & Conference Center in beautiful Roanoke, VA, as we celebrate 50 Years of bringing Clean, Safe Drinking Water and Environmentally Sound Wastewater Solutions to Rural Communities and Low-Income Individuals across the Commonwealth of Virginia and the Southeast United States! A Reception will begin at 5:00PM, followed by Dinner at 6:00PM. *N.B. Please Note that Dress for the Event is Semi-formal to Black-tie. The Keynote Address for SERCAP's 50th Anniversary Water Is Life! Banquet will be given by Mia Birdsong. Birdsong graduated from Oberlin College, was an inaugural Ascend Fellow with the Aspen Institute, and was a Class of 2016 New America CA Fellow. Currently, she is a program fellow with the Family-Centered Social Policy program at New America, and she sits on the Board of Directors of both Forward Together and the Tannery Word Dance & Cultural Center. Additionally, she serves as Senior Fellow at the Economic Security Project, and she has served as Co-Director of Family Story. Ultimately, Birdsong has spent her 20+ year career working to change the public's view of Poverty in America. 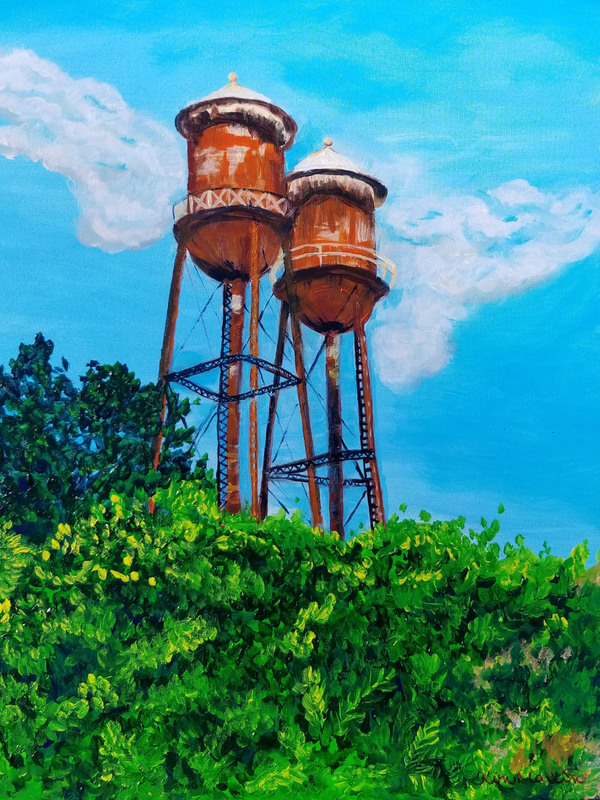 This year, in addition to the State Basket Raffle, SERCAP is also Raffling off a 16"X20" Acrylic Painting, entitled Water Towers, by SERCAP's own Kim Martin of North Carolina. Raffle Tickets for the Painting are $5.00 each, and all proceeds will benefit SERCAP's Water Is Life! Fund. The State Basket Raffle is Back! This year SERCAP is once again holding a Raffle in conjunction with the Water Is Life! Event. We will be raffling off seven (7) Baskets, one from each of SERCAP's seven (7) states, that will be filled with a variety items which may include: local food stuffs, locally made body products, hand-crafts, and more! This the Baskets will have a them of Diversity, which will celebrate both the Diversity of SERCAP's Service Region, as well as the 55th Anniversary of the Civil Rights Act of 1964! To learn more and view Photos of the Baskets as they become available, visit SERCAP's Facebook Page(https://www.facebook.com/SERCAPWater/)! *Tickets for the State Basket Raffle are Now Available, so Get YOURS Today!